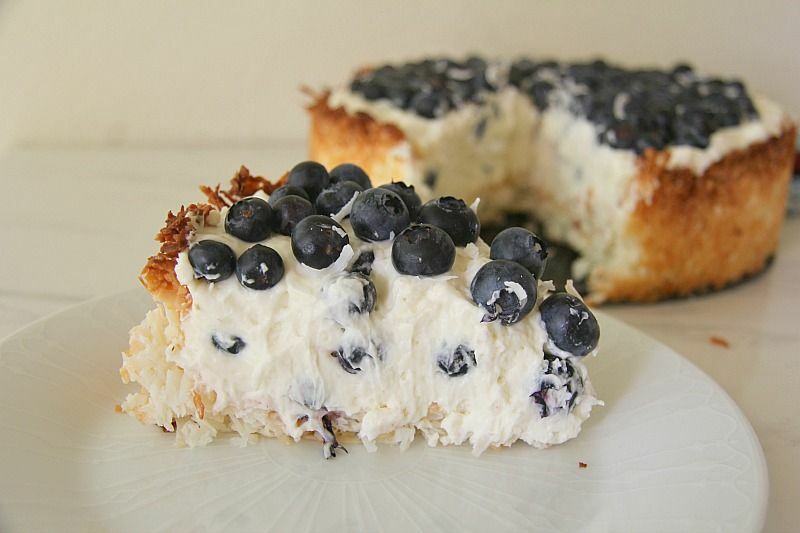 This blueberry cheesecake is a no bake cheesecake made in a coconut macaroon crust. 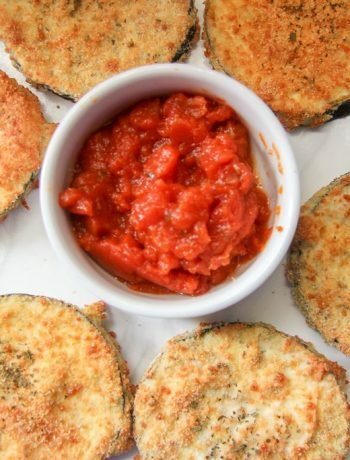 A delicious alternative to a biscuit crust as well as it being a low carb and gluten free option. 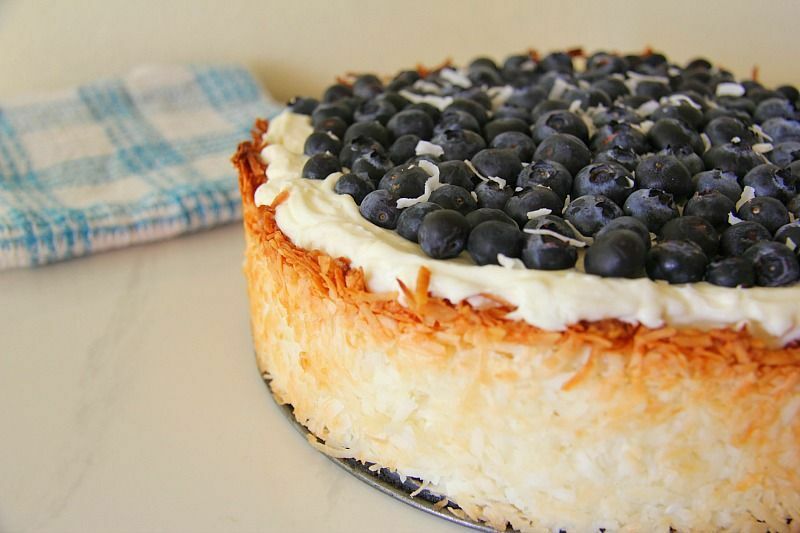 I have a baked blueberry cheesecake recipe with this coconut crust and wanted to make it again. This time I was lazy and thought that I would make a no bake cheesecake. All you need to do is bake the coconut crust. Let it cool, then fill it with a smooth cheesecake. It’s a simple as that! I used fresh blueberries as they were on special offer in the supermarket (I am always looking for a bargain!) but you could happily use frozen berries. Just make sure that they are defrosted. If you don’t have any blueberries to hand, other berries would be just as delicious with the coconut. I did wonder about making this with cranberries for a festive dessert but they might be a bit sharp just by themselves. You might want to add additional sweetener if you use cranberries. Or just stick with the blueberry cheesecake. 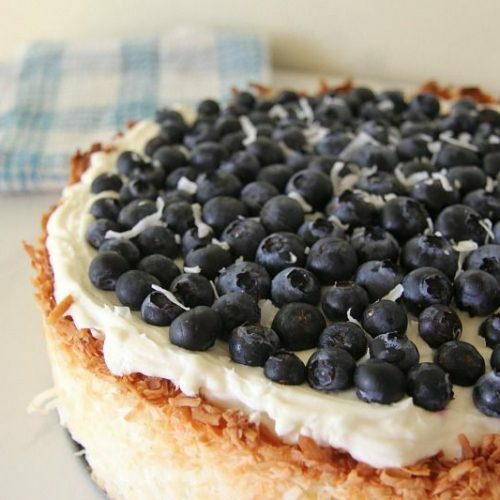 This is still one of my favourite blueberry cheesecake recipes and the coconut crust is a winner in our house. It received a firm thumbs up from the vet at the vets (or should that be a paws up?) since this was baked whilst the husband was off the island. I think of all the dishes that they taste tested for me, this was a firm favourite. 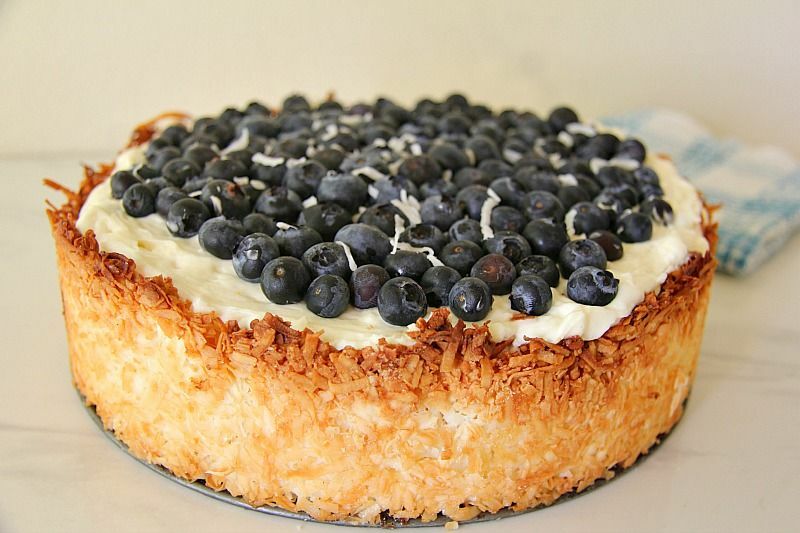 A coconut crusted cheesecake with a no bake filling. Gently brush the inside of a springform cake tin with coconut oil. Line the bottom with parchment paper. Spoon the mixture into the cake tin and with clean wet hands, press the coconut mixture around the sides and bottom until the whole tin is covered. Bake for 20 to 25 minutes until slightly golden and firm. In a bowl beat the cream cheese until soft. I used a whisk. Add the sweetener and vanilla and whisk away until blended. In another bowl whip the cream into stiff peaks, then fold into the cream cheese mixture. Add the blueberries and gently stir, being careful not to break them up too much. Spoon the filling into the coconut case and place in the fridge to chill for at least 4 hours or overnight. 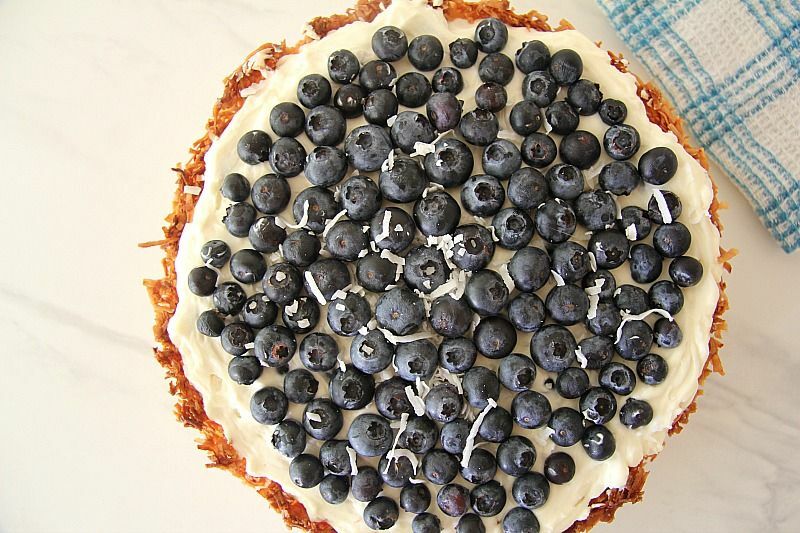 Decorate with blueberries, slice, eat and enjoy! Love this recipe. I have made it several times using different berries. 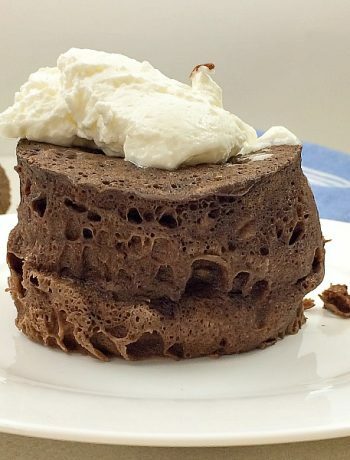 I make them for all our special occasions as we have several keto family members. Glad you and your family enjoy it! This looks yummy! What is desiccated coconut? Will this work with regular unsweetened shredddd coconut? Tried this for Easter and turned out great! My grandmother used to own a bakery and couldn’t believe it was Keto and gluten free. Delicious – Thank you! Will definitely be making again. Wish I could share a photo! 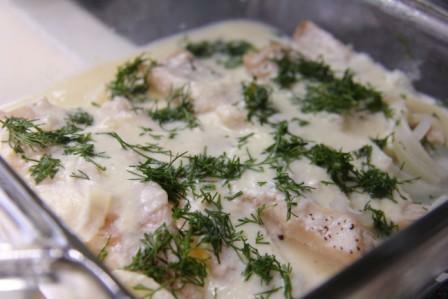 It’s a great dish for Easter! Next time take a photo! Glad your grandmother enjoyed it too! What size of pan did you use? An 8 inch spring form cake tin. This looks interesting. I’m not sure how I feel about it not being baked but I will certainly give it a try. That would be most convenient. Especially, given I just made a low carb baked cheesecake for Christmas. Thanks for sharing!